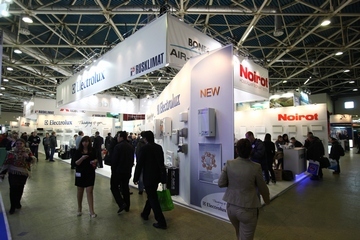 RENEXPO® SOUTH-EAST EUROPE the biggest and most important event on renewable energy and energy efficiency in Romania comes back in 2014 with the 7th edition between the 19th - 21st of November at the Palace Hall in Bucharest. The event created tradition for over 7 years in Romania and offers the best platform for successful business in terms of trade fair, conferences and side events. RENEXPO® SOLAR, RENEXPO® WIND, RENEXPO® HYDROPOWER, RENEXPO® BIO&CO and RENEXPO® ENERGY EFFICIENCY will bring again for three days under the same roof experts and key persons in the sector.